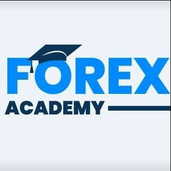 About me Forex.Academy is the most ambitious educational platform for both retail and institutional forex and crypto traders, as well as ICO investors in the entire industry. Our foundational principles are simplicity, transparency, legality and flexibility. Monero increased a little but the failure to close above the lower median line (lml) and above the minor uptrend has signaled a potential drop. We may sell it after a valid breakdown below the 151.260 level. The first targets will be at the 150% lines. The AUDUSD pair is making a strong comeback inside the slightly upward channel. If history repeats itself we wll we see the price of the pair touch the uppwad channel whithin 12 weeks from now. BCH/BTC valid or false breakout? BCH/BTC dropped significantly today and could inalidate the breakout above the upper median line (uml) of the descending pitchfork. Price has found a very strong resistance at the 50% Fibonacci line of the ascending pitchfork. A failure to close above this line could signal that the rebound is completed and the price could start another leg lower soon. EOS plunged today and now is pressuring the 50% retracement level. The fasle breakouts above the upper median line (uml) could send the rate towards the median line (ml) again. Thsi scenario will take shape only if the rate will close below the 50% line. i want to remind you that a valid breakout above the 250% line will signal a signficant increase. ETH/USD has made a valid breakout above the outside sliding line (SL) of the descending pitchfork. The breakout needs to be confirmed before we can think at a further increase. The rate could come down along the SL to retest the LML before will jump much higher towards the 50% line.